The Long Call Ladder Strategy is often suggested by experts in the moneycontrol website. I do not know for what reason, but I have read this many times there. What is the Long Call Ladder Strategy? This strategy is established when a trader has a slightly bullish view but thinks that the stock will not keep rising up and expire at a certain level not far from the current price. He can then trade this strategy. Unlimited risk is only when the stock keeps rising beyond the last OTM call sold. On the downside profit and loss depends on whether the trader took a credit or paid money to initiate the trade. Expiry in between the strike prices of call bought and sold results in profits. Max profit is if the stock expires between the call options sold. Now go back and look at the three steps required to create the long call ladder. If you take out step 3 – all that is left is a debit call spread. In simple language if the stock moves up the call debit spread should make money. However debit spreads are costly. 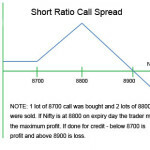 If you buy 1 in the money call option and sell one at the money call option in Nifty and if they are 100 points apart – the minimum difference of points will be 50. Which means you have to pay for 50 points at least to establish step 1 and step 2. Some people are not comfortable with this, as paying for 50 points is costly. If Nifty does not move up, or goes below and expires below the strike price of the option bought – the trader will lose all 50 points. To reduce the risk the trader sells another call option further out of the money. This makes sure his losses gets reduced by a huge margin. 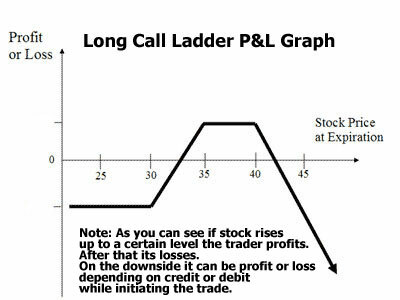 A lot of Indian retail traders trade this strategy but do not know that they are trading long call ladder. They feel happy for the fact that they were able to reduce the risk by paying less or getting a credit. On top of that if Nifty actually does not travel beyond the far OTM call option – which seems unlikely when the trade was initiated – then the trader makes more profit. 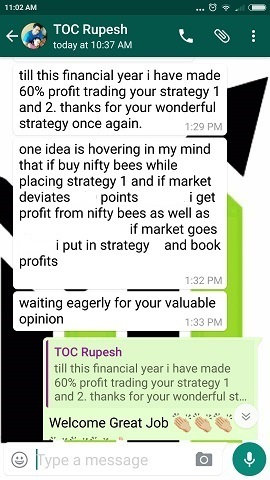 Let me take real example from Nifty. We will trade December 2014 options because time to expiry for the November options is just a few days away that will be risky. We will do it in 100 shares to keep the math simple. Total credit: (-18700+12300+7300) = 900. Please note that sometimes a debit may also occur depending on which options were sold. For example the trader can also sell the 8600 CE, and 8700 CE call option trading at 73 and 40 respectively. 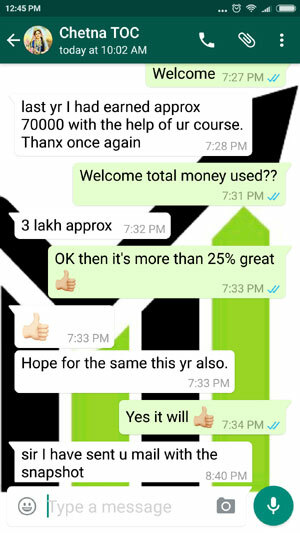 In that case the trader will have to pay a debit (-18700+7300+4000 = -7400). As you can see just by shifting 100 points up, the trader have to pay a large debit. On the other hand his chances of profits increases. 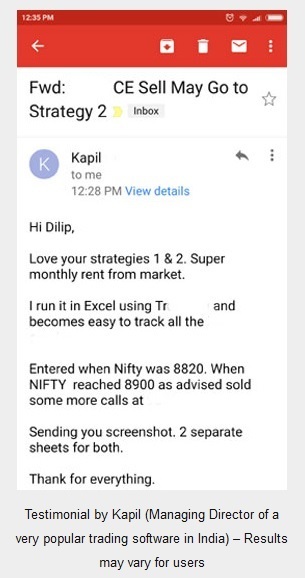 Now he need not bother up to 8700, but in the earlier trade his stress starts when Nifty reaches 8600. If you trade the above you will receive Rs. 900 the next day in your trading account. This is not your max profit. Lets discuss the profit or loss on the expiry day. All the options expire worthless. You can keep Rs. 900/- you got when you put on this trade. Anything below the result will be same. ROI: (10900/120000)*100 = 9.08%. Amazing profit in almost 30 days. But please understand that this was possible because Nifty expired at the sweet spot. The sweet spot is between 8500 and 8600 – beyond this the profits will start to decrease and losses will start. Lets see how. See how fast the losses are accumulating. Losses will keep increasing as Nifty keeps rising. Long Call Ladder Strategy works best if the stock or the index is between the sold options on expiry day. Else the profits may vary depending on the position. Losses starts to accumulate if the stock is above the 2nd call option sold. Note that some traders sell 2 ATM options instead of selling one ATM and one OTM option to get extra credit. This is not a good trade as the losses starts to accumulate very fast once Nifty crosses the sold option strike. Strategies are recommended for a reason and if you do not have a very solid reason to change a strategy you should not try it. In most cases you will lose money. 1. If Nifty is falling – no adjustments required. Be happy with the 0.75% return that month. Do not bring down the ladder – if Nifty again starts moving up, you may lose money. 2. Rollover to the next option prices 100 points away as soon as Nifty crosses the first option sold strike. In most cases the trade here will be in profit. In that case there is no need to rollover. To get that 9.08% you may rollover and may end up losing money. So be happy with whatever you got. 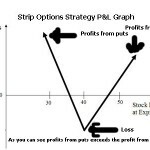 Hard to tell the profits you will receive here as it depends a lot on the option price prevailing at that time. 3. 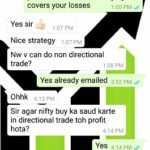 In any case DO NOT let Nifty cross the second call option sold. If it has reached there – it is almost certain that you are in good profit. Theta may have done damage to the sold options by now and the bought ITM option will be in good profit – so the whole trade will be in profit. BUT you will still not receive the stellar 9.08% return if expiry is far away. Do not be greedy. Nifty may again fall or keep traveling up and a profitable trade today will be in loss on the expiry day. So just take your profits and close the trade. You will get another opportunity to trade. Free your cash for that. This trade looks easy, but mind it, its not. Why? Lets discuss the reasons. 1. If Nifty keeps falling – your profits are just 0.75%. This is less than what a short-term debt fund returns in a month with zero work or stress. This is not a satisfying return trading options. Sometimes the returns may be lesser or you may have to pay cash to trade ladder. In those cases you may lose money. 2. If Nifty is range bound – you will be eager to take profits because of the fear that Nifty may fall and you may lose whatever money you made till now. You will make a profit but the returns will not be great. This is most likely to happen to any trader. 3. 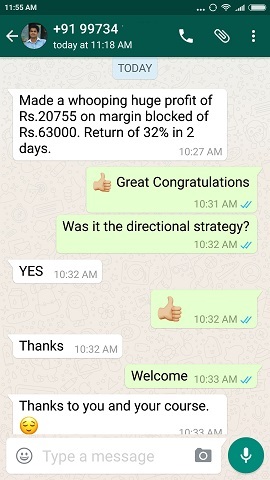 If Nifty keeps rising – greed will come in and you will feel like waiting till expiry to take that 9.08% return only to find on expiry day that Nifty has crossed the second option sold and you may have a loss or small profit. Therefore it is important in any trade to know well in advance where you shall book your profits or take a loss. Maximum profit and maximum loss in any trade should be known to you – but they should not be the only criteria to take a profit or loss. Your profit or loss should be decided by you as a trader – not what the math are showing. If you have traded the Long Call Ladder Strategy let us know your trade in the comments section. We can discuss the results. This will also help other traders. If you are cautious trader you can modify above strategy to take around 1 – 2 % profit barring no upper circuits in market 🙂 But you need to be full time trader to monitor. when current expiry is around half complete & volume is present in next cycle , you feel some spike can be there , chose strike 1 price which is 300 – 400 points far from current strike & then sell next stroke 100 points further & depending upon your comfort zone of credit or debit sell next stroke either 100 points or 200 points further . Theta will give 1-2 % returns . Dilip Ji – Correct me if i am wrong anywhere . Sorry for the late reply was really busy last few days. Frankly what you have written is not very clear. What I understand is you are telling to close the same month shorted options and open in a different month which is further away and let the buy option of the current month be as it is. Well it is good but then it becomes more or less a calendar spread and then VIX will have a BIG role to play. If Nifty spikes with a spike in VIX then you may make good money in the long option, but since the short options are double the no of bought they may make losses. Depending on how far they are losses can escalate fast. But one thing is good in what you said – sell even far away options. So that makes sense but keep in mind that these options will NOT expire worthless and therefore you never know what profit or loss you will face on expiry day. Test it out and see if it works for you.